End of the Lin-nocence: An Open Letter to Stephen A., Melo, and J.R.
JaVale McGee’s Contract Offer: As Awful as My Bitter Heart Believes It to Be? Ok, so we got some solid feedback on our post yesterday, in which we introduced a new metric for assessing total shooting performance. Two of the most compelling points we felt the need to address are 1) Why are you counting 3 point misses against players more than 2-point misses? and 2) What are the top 10 players in the NBA in terms of your new metric, Weighted Field Goal Percentage, and do your results pass the common sense test? We’ll address both these questions below. 1) Why are you counting 3 point misses against players more than 2-point misses? The simple answer to this question is that we are giving players extra credit for made threes. If we put “bonus credit” in the form of heavily-weighted three point shots into the numerator of our equation but do nothing to the denominator (bottom-half) of our equation, we encounter the “Derrick Rose Effect,” which is the phenomenon of being better than perfect (110%). The entire premise of our system is that metrics that tell you a guy’s “Effective” or “True” shooting percentage is 110% have told you very little, on top of being just plain confusing. Let’s go back to our J.J. Redick example from yesterday. 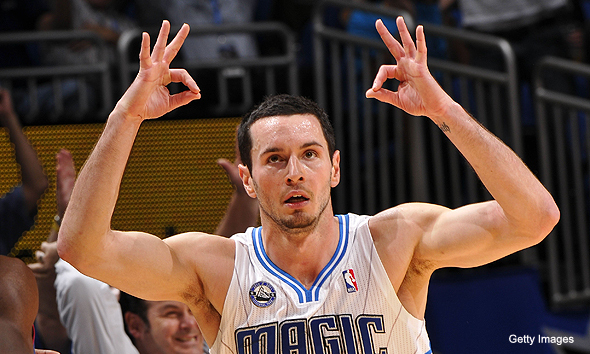 Redick shot 9-10, including 3-4 from the free throw line and 5-6 from the three point line. If we were to treat a 3-point shot attempt as equal to a 2-point shot attempt but also give extra credit to Redick for his made three’s, then our metric would feature the very flaw it was designed to correct: Redick’s WFG% would be 108%. We are sympathetic to the idea that this is “unfair” or that a missed two is the same as a missed three (though we are actually skeptical of this in terms of the effect of a missed three vs. a missed two in an actual game, but we leave that aside). But arguments can be made, for example, that a guy who jacks up bad three’s (pick your favorite example, mine is J.R. Smith) should be penalized for those shots. We don’t necessarily advance that argument, though. Our point is simply this: if you want threes to count more when you make them, they will have a corresponding effect on your shooting percentage when you miss them. We admit that’s not a perfect solution. But we think it’s more useful and closer to the “truth” than a metric that routinely allows for better than perfect scores. 2) Who are the top 10 players in the NBA in terms of your new metric, Weighted Field Goal Percentage, and do your results pass the common sense test? So, does our re-imagined top-10 list “pass the common sense test”? We think so. If nothing else, we have another tool to use to take a closer look at the game. This article attempts to advance a new metric, Weighted Field Goal Percentage, which accounts for every shot (free throw, 2-point shot, and 3-point shot) taken by a player in a given game. The metric weighs these shots (free throw, least; 3-pointer most) and generates a shooting percentage based on a player’s overall shooting performance. For reasons that are explained below, we believe this metric is more useful than existing metrics (eFG% and TS%). When Derrick Rose said that he would not return to the Bulls’ starting lineup until he was “110%,” many were quick to note that, interpreted literally, this mean that Derrick Rose could never return to the Bulls. You cannot be 110%, right? This kind of common sense observation led me to recognize a flaw—the very same flaw (exceeding 100%)—in a metric called “effective field goal percentage.” The rubric was designed to address the grievance that gifted three-point shooters are underappreciated if field goal percentage measures two-pointers and three-pointers equally. Put another way, Tyson Chandler’s impressive field goal percentage would certainly be another level of awesome if he were 60% from beyond the arc. Brace yourself, here comes math. The basic calculation for eFG% is this: (FG + 0.5 * 3P) / FGA. Broken down into actual human language, what that formula means is that every made 3-point shot is divided by 2 and then added to the total number of made field goals. 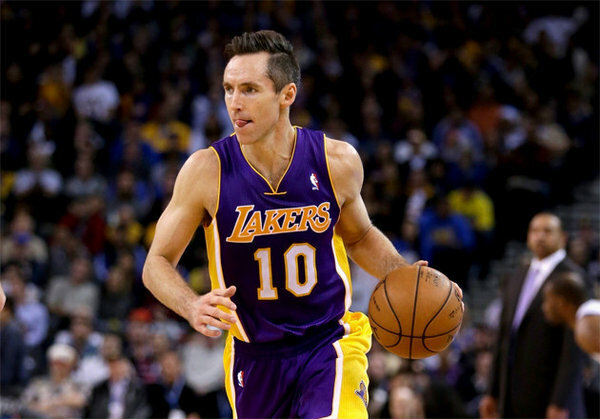 The idea is to give efficient 3-point shooters recognition for their success in making long-range shots. But if you look closely, you’ll notice that we didn’t do anything to the bottom-half of the equation (or denominator, for those not completely allergic to math). Consider also that “FG” in the eFG% formula already includes made 3-point shots, and we have a problem. JJ Redick makes a lot of three’s. Let’s take an actual, real-world example. On January 22, 2013, J.J. Redick shot the lights out against the Pistons. Redick was nearly perfect, shooting 9-10 from the floor, including an impressive 5-6 from the 3-point line. Redick was also 3-4 from the Free Throw line, but since eFG% doesn’t factor in Free Throws–at all–we leave that number aside. So, when we plug in Redick’s numbers to the eFG% formula, Redick’s eFG% is (9 + .5 * 5) / 10. You multiply the result by 100, and you get . . . . 115%. 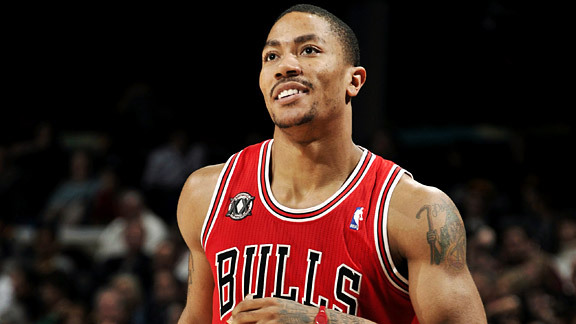 Unless Derrick Rose is the accidental architect of a revolution in mathematics, something is off here. What is this number (eFG%) possibly supposed to tell us? Redick was undeniably great that night, but he absolutely was not perfect. He missed one shot. And in any case, he certainly wasn’t better than perfect. Right? But the metric is . . . odd, to say the least. First, TS% does not distinguish, as eFG% at least attempts to do, between a made 2-point shot and a made 3-point shot. Rather, a player’s total points are lumped together. Second, free throw attempts are weighted at .44. This is the most puzzling choice in the formula. The supposed rationale for this number is that free throws are not a full possession. But . . . are we measuring possessions? If so, then presumably we should distinguish between 3-point shots and 2-point shots for TS%. For example, it takes 6 possessions to get 12 points if you make only 2-point shots, but it takes only 4 possessions if you make all 3-pointers. And, anyway, is a FTA 44% of a field goal attempt, or is it more accurately understood as 33% of a 3-point attempt? Did I mention that the “Derrick Rose Effect” is still in play with TS%? Don’t worry if you didn’t catch it, but JJ Redick’s great night against against Detroit comes out as once again better than perfect under the TS% rubric. Redick had 26 pts. The denominator, working inside-out, is ((.44 x 4) + 10 ) x 2, which equals 23.52. So . . . JJ Redick’s TS% is 26 / 23.52, or 111%. The use of the word “true” in “true” shooting percentage officially strains the imagination. Congratulations if you’re still with us. It’s been brutal, but we’re almost done. In human terms, all we’re doing there is adding up the number of shots made and dividing that number the number of shots taken, but we’re assigning those shots a weight (1/3, 2/3, or 3/3) based on whether the shot is a free throw, a 2-point field goal, or a 3 point field goal. And notice we are weighing shot attempts as well. This is important, as we will see, because it means our percentage can never exceed 100%. A small victory for common sense. So what does this number tell us? What has this all been for? Let’s plug in J.J. Redick’s numbers to see what we get. On top of shooting 90% from the field and going 5-6 from the 3-point line (83%), Redick also shot 3-4 from the stripe (75%). But these 3 shots from the line are not factored in anywhere in conventional Field Goal Percentage. Conventional Field Goal percentage does not give extra weight to Redick’s 5 made 3-pointers, either. So what we’re after is a number that factors in both 3-point shooting and free-throw shooting. When we run Redick’s numbers through the WFG% equation, Redick comes out shooting 87% overall. What does this number mean? A couple of things. First of all, when we say Redick shot 90% from the field on 9-10 shooting, we are speaking in terms of conventional field goal percentage. We aren’t, in other words, factoring in free throws. Nor are we weighing three’s more heavily than other shots. And Redick missed a free throw. Our WFG% counts that miss. And our WFG% values 3-point shots (both in makes and attempts) more than other shots. Redick was a perfect 4-4 on 2-point shots. But we don’t weigh those shots as heavily as we weigh his 5 made threes. Redick’s one miss from the field was a 3-point shot, so that miss necessarily counts against him more than a two-point miss would have. There’s probably a lesson in here about how you can’t have it both ways (extra credit for made three’s but no extra penalty for missed three’s), but we leave that for another day. Our metric is a work in progress, no doubt, but we think it has certain obvious advantages to the existing metrics (eFG% and TS%) that claim to measure basically the same things. For those of you who would like to play with the metric, here’s link to an Excel spreadsheet that will do the math for you.